The power of robotics is in creating autonomous robots that exhibit a behavior and responds to its environment. This is a study on creating an autonomous behavior. The Acrobot is a robot that understands it’s own position and responds accordingly by waving its arm back and forth. The Acrobot is also human-like as it does get tired and requires breaks once in a while. The Acrobot will continues to exhibit the same behavior in various environments autonomously or with human interactions. 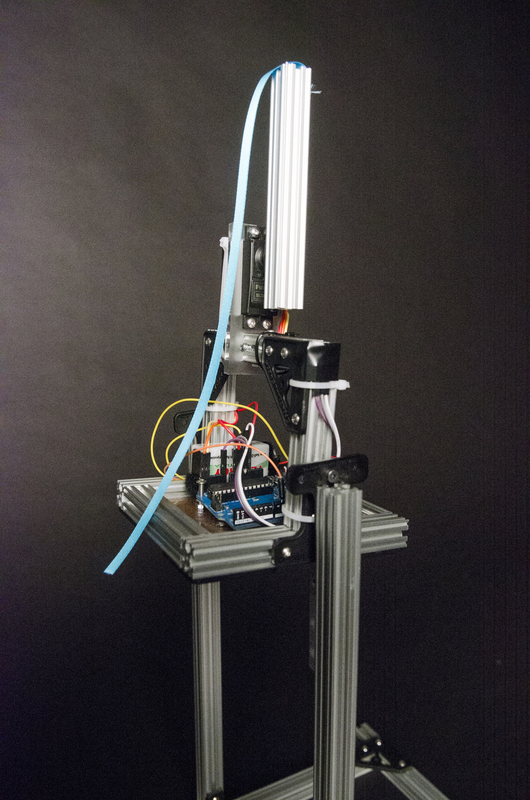 Acrobot is a multi-alteration project with multiple products. The Acrobot uses a variety of sensors to attain its behavior. An accelerometer mounted on the center beam of the device keeps track of the pitch of the robot, which is fed to a servo that controls the pivoting arm. 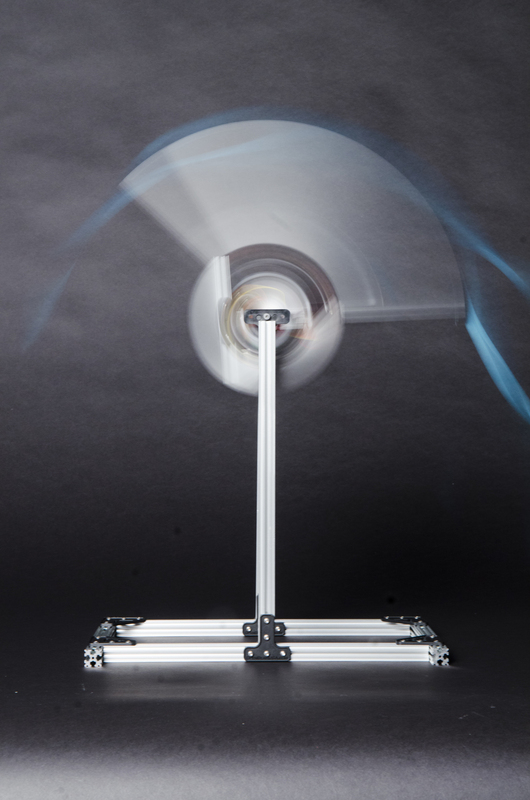 The pivoting arm creates additive motion, allowing the robot’s spin to accelerate. As the Acrobot flips, a hall-effect sensor tracks the number of rotations as the sensor passes over a neodymium magnet mounted on the stand. The Arduino program sets a random number of rotations and once the rotations have completed, the robot rests. The amount of rest is proportional to the number of rotations it just completed. After the first Acrobot we wanted to explore how the autonomous robot that exhibits a behavior and responds to the environment and even other robots. In the second alteration. A second Acorbot was built. This time the second Acrobot was given a second degree of freedom in movement. The second Acrobot only receives sensing data from the first data, creating a synchronizes choreographed dance effect. In a choreographed dance, the leader Acrobot guides the follower Acrobot in its movement, creating a mesmerizing visual display. Because of the differences between the Acrobots, the performance is not perfectly synced and the follower tends to step on the leaders toes. However, when they sync up, the results are fascinating. The last space we wanted to explore was how we could add an aspect of interaction with the Acrobot. With a large piece of metal swing around, it can be hard and dangerous to interact with the Acrobot. A human size Acrobot was built that is approximately 6 feet tall. Although this may appear to make it harder for people to interact with the Acrobot, a Microsoft Kinect that reads one’s movements. This gives the Acrobot the ability to mirror a person’s movements. The user and the Acrobot can dance together. This created some very interesting performances that where entertaining to watch.